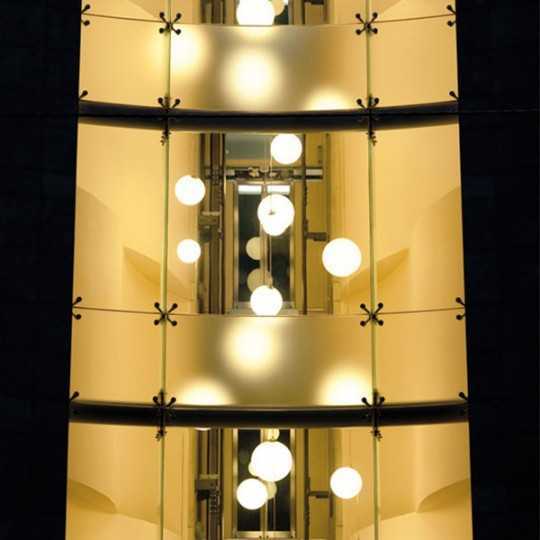 Highly resistant and premium quality lighting. Made in Italy, Europe. 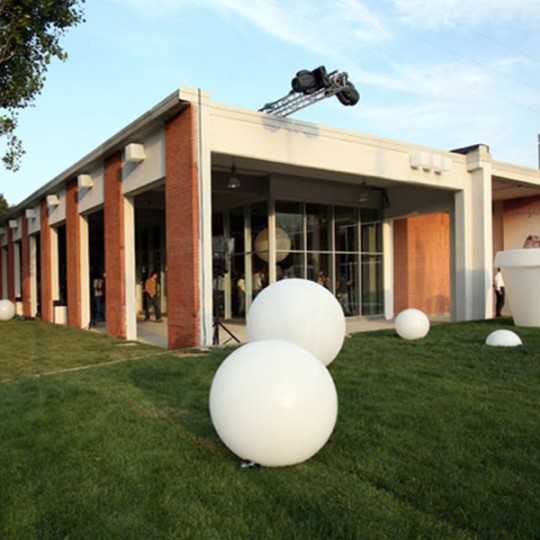 GLOBO 120 WIRELESS is a Giant Wireless Lighting Ball (120 cm Diameter) made of highly resistant Matt Polyethylene. Two models are available for Indoor or Outdoor use. 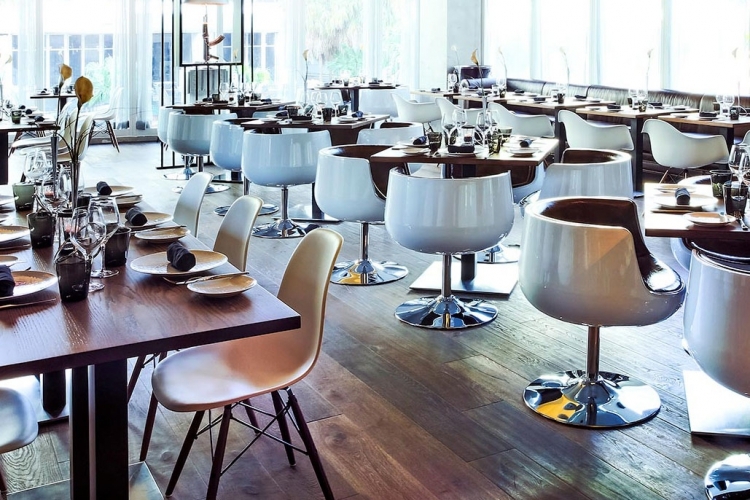 This Oversized Round Floor Lamp is aimed to be used by Professionals: ideal for Hotels, Bars, Restaurants, Headquarters... High Quality Lighting, designed and manufactured in Italy, Europe. 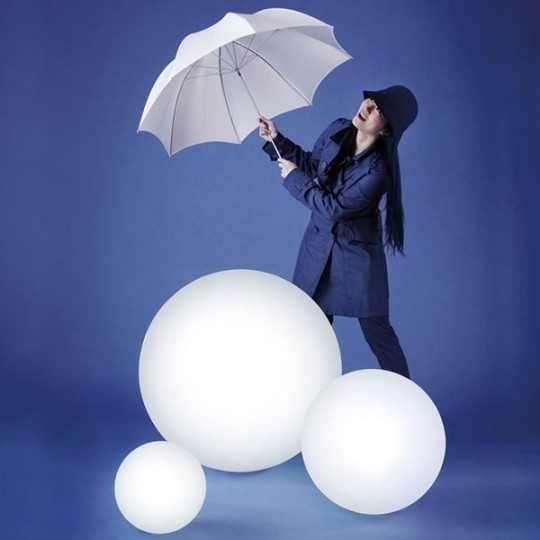 GLOBO 80 WIRELESS is an Extra Large Wireless Lighting Ball (Ø 80 cm) with RGB LED Light. Two models are available for Indoor or Outdoor use. It has been specifically designed for intensive professional use. 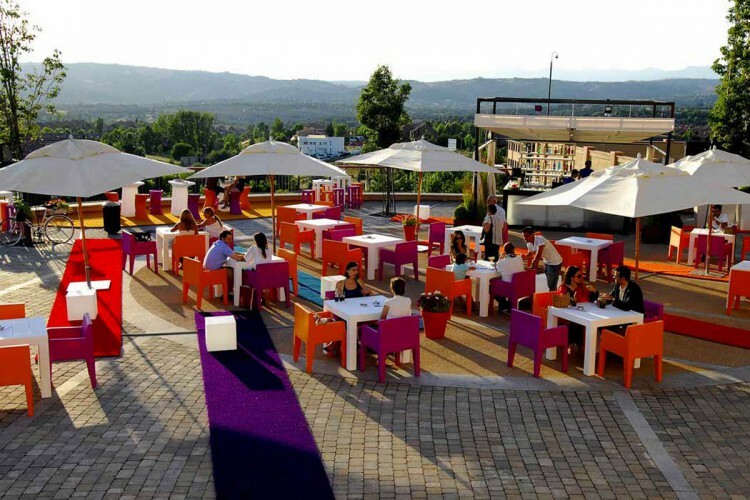 It is ideal for Hotels, Bars, Restaurants, Clubs, Headquarters... Professional Lighting manufactured in Italy, Europe. 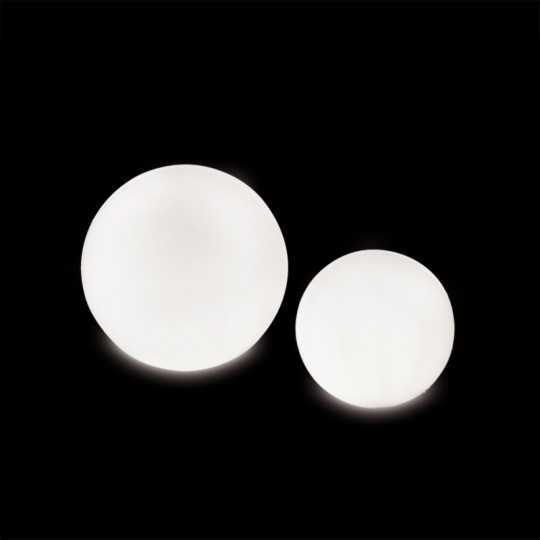 GLOBO 50 WIRELESS is a Wireless Luminous Ball Table or Floor Lamp (Ø 50 cm). The Battery RGB LED Module provides 10 fixed colors and 4 effects. 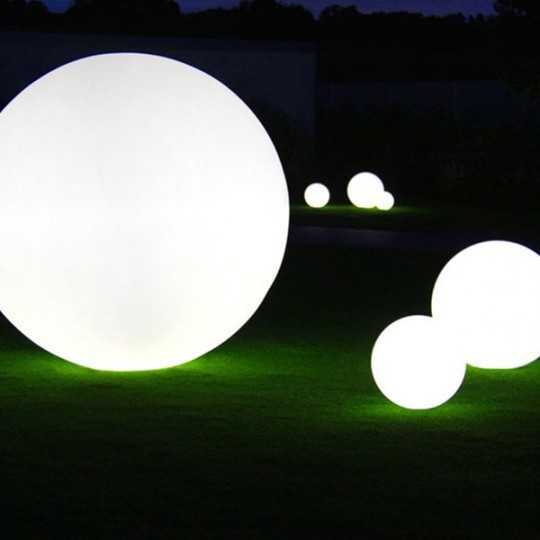 This Luminous Wireless Globe is made of Matt Polyethylene. 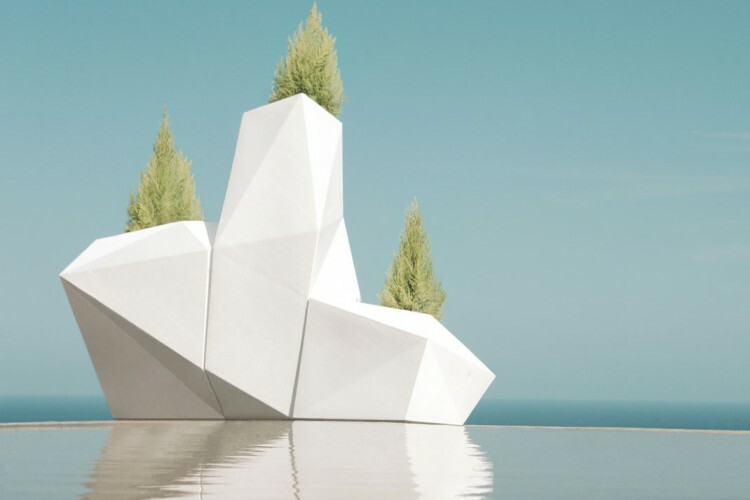 Two versions are available: indoor and outdoor. You can therefore choose the Lighting Bubble you need. Designed and Manufactured in Italy, Europe. 2 890,00 € tax excl. GLOBO 120 is an Oversized Lighting Sphere (Ø 120 cm). Two models are available for Indoor or Outdoor use. 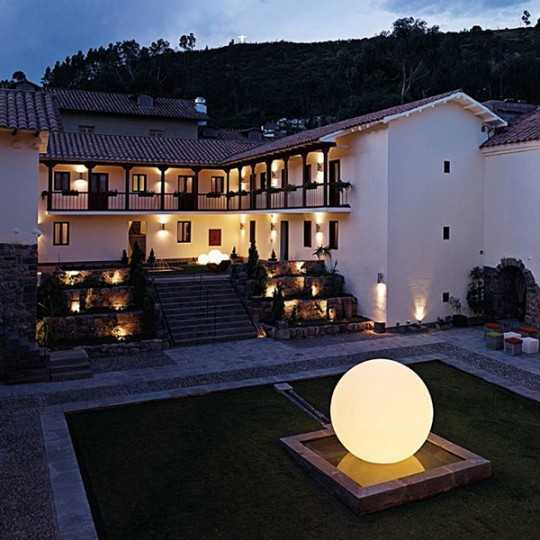 This Giant Round Floor Lamp is aimed to be used by Professionals: ideal for Hotels, Bars, Restaurants, Headquarters... GLOBO 120 is made of highly resistant Matt Polyethylene. 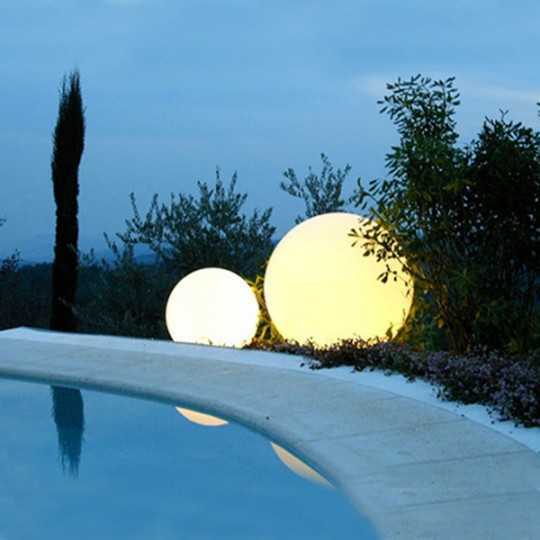 High Quality Lighting, designed and manufactured in Italy, Europe. GLOBO 80 is an Extra Large Lighting Globe (Ø 80 cm). 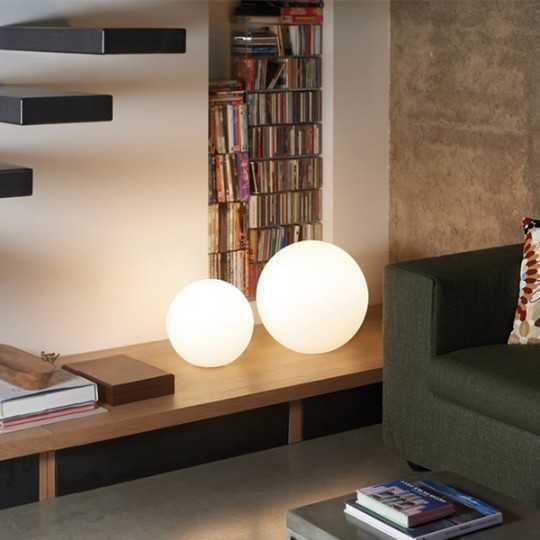 Two models are available for Indoor or Outdoor use, either with Matt or Lacquered Finish. 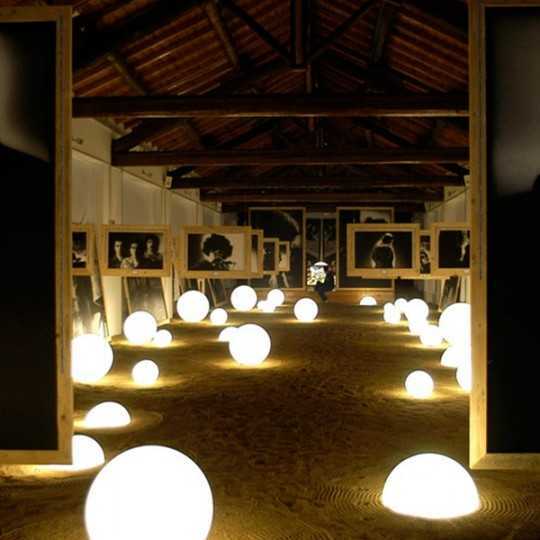 With its large size, this Ball Lamp is a very decorative object that will please your guests. 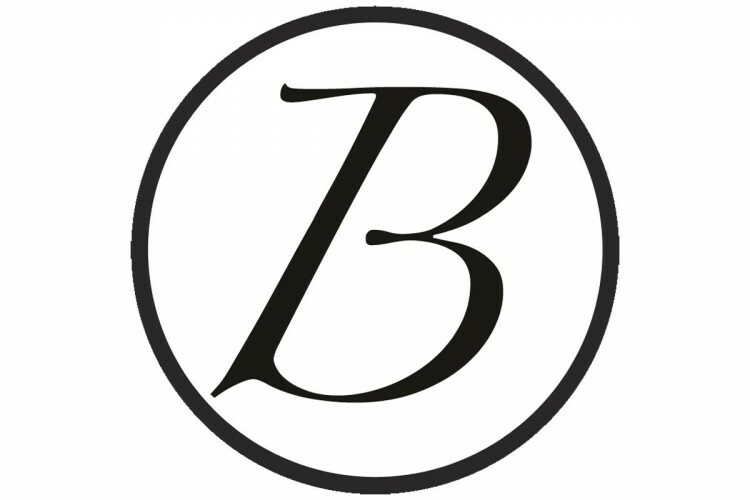 Professional Lighting manufactured in Italy, Europe. GLOBO 70 is a Large Luminous Ball Floor Lamp (Ø 70 cm). Its timeless and contemporary design will definitely please your guests. 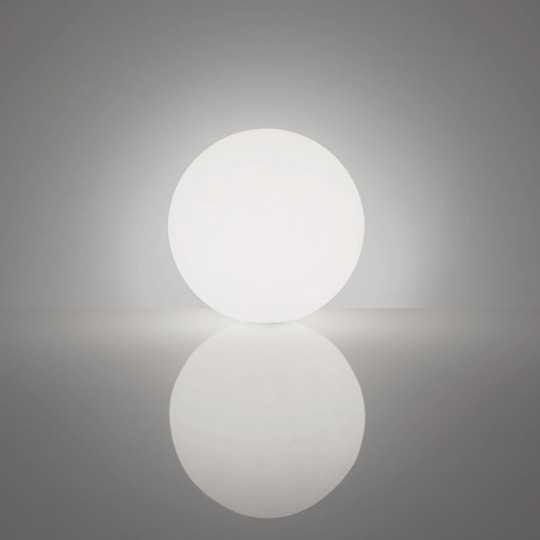 This Large Round Lamp is available in Indoor or Outdoor version, either with Matt or Lacquered Finish. Highly resistant, It has been specially designed for Professionals. Made in Italy, Europe. GLOBO 60 is a Luminous Bubble Floor Lamp (Ø 60 cm). 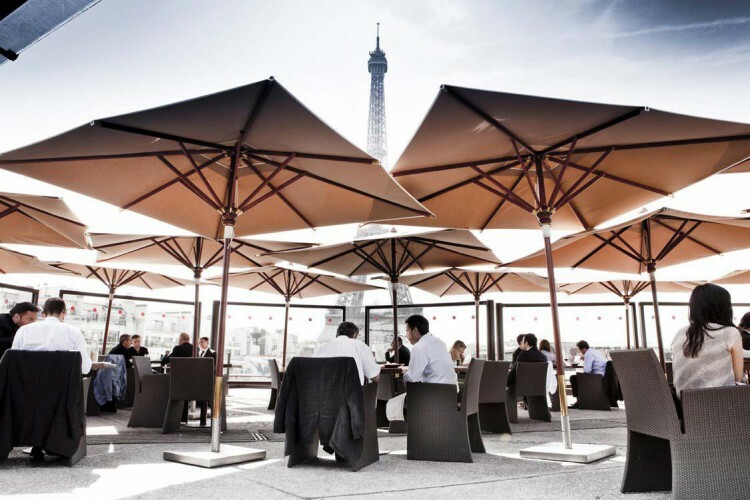 It is available in Indoor or Outdoor version, either with Matt or Lacquered Finish. With its clean and modern design, this Round Table or Floor Lamp is ideal for Professionals: Hotels, Bars, Restaurants, Clubs... Highly resistant and premium quality lighting. Made in Italy, Europe. 2 860,00 € tax excl. 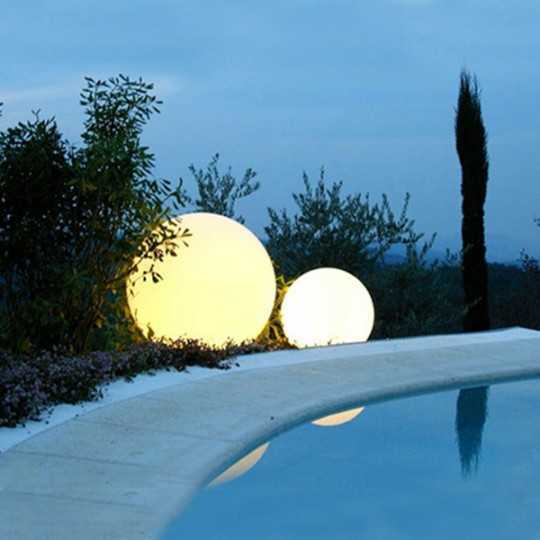 GLOBO 200 is a Giant Luminous Sphere (Ø 200 cm) made of highly resistant Polyethylene with Matt Finish. Two versions are available for a Professional use: Indoor or Outdoor. 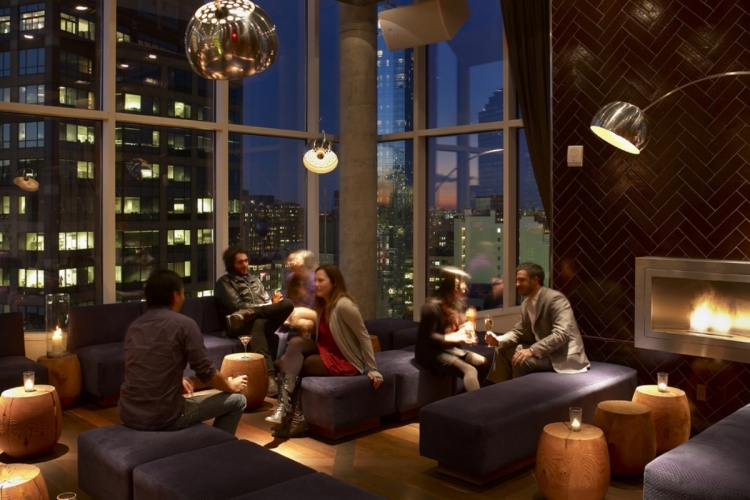 Its Contemporary and Modern design is perfect for Hotels, Bars, Restaurants, Night Clubs, Stores... Designed and Manufactured in Italy, Europe. 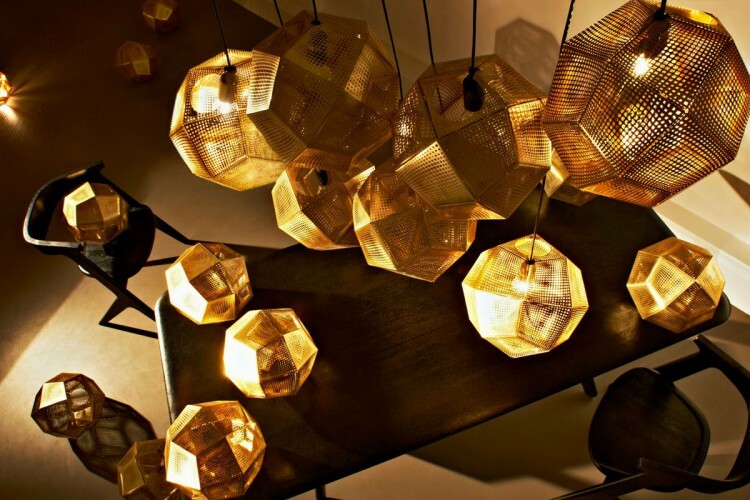 GLOBO 120 is an Oversized Globe Hanging Lamp (Ø 120 cm). Made with Polyethylene with Matt Finish, this Huge Ball Pendant Lamp will delight your guests. It is aimed to be used by Professionals: Hotels, Bars, Restaurants, Clubs, Stores... High Quality Lighting, made in Italy, Europe.